The following Cash Back Grocery Shopping Apps are the best available. Although each one offers cash back on your grocery shopping, some are easier to use than others; but they all save you a ton of money on groceries! I've provided a brief description of how each app works, and there are also links provided that provide further detail about how to use each one of them. The one thing that all of these apps have in common is that there is No Coupon Clipping. So, if cutting and clipping coupons is a sore spot for you, or you simply do not have the time to clip coupons, you should absolutely be using the cash back apps to save! But, if you do clip coupons, you'll save even more money with these apps! Why? Because along with the cash back savings that you will receive from these apps, you can also use paper manufacturer coupons, store coupons, store offers (i.e., BOGO), store loyalty cards, other electronic coupons; and yes, even other Cash Back Apps to save money! This is huge! It's the equivalent of what couponers call "stacking," but in a different way. For example: let's say that you are going to purchase a Lysol Cleaner that is priced at $2.00. You clip a paper coupon for .50 cents and use the coupon in the store. You can then redeem a cash back app offer for $1.50 off Lysol Cleaner. With the .50 cent in-store savings plus the $1.50 cash back, the cleaner is FREE! So the cash back is "in addition to" or "on top of" any money that you save with sales and other coupons. For this reason, I suggest that you sign-up for all of these apps, so that when you are ready to shop, all you need to do is to look at the available cash back offers/items. Many of the coupon apps will not even show you all of the available cash back offers/items unless you're signed in. Checkout 51 is one of my favorite cashback grocery shopping apps, (which is why it's listed first) because it can be used on your computer, as well as your cell phone or other device. It's also very easy to use and doesn't require any extra steps to get the full amount of the coupon. You simply browse the offers and purchase the products at any store, upload your receipt, and your Checkout 51 account is credited. See How to Use Checkout 51 for full instructions. Two of the best features of the SavingStar cash back app are the Healthy Offer of the Week, which changes every Tuesday, and offers a percentage discount on a particular Fruit or Vegetable; and the Friday Freebie, which also changes every Friday, and offers 100% cash back on a single item. This app works with your store's Loyalty Card, and for many store's that do not offer a Loyalty Card, you can simply upload a copy/picture of your receipt for the item(s) on their list that you purchased. The cash back is then posted to your account. See How to Use SavingStar for full instructions. With the ibotta cash back app, you will unlock cash back rewards/rebates on the products that you wish to purchase online or in-store before you shop. You do this by completing simple tasks, such as: Then purchase the products at any of their 100,000 "supported stores." If purchasing in-store (instead of online) you can even link your Store's Loyalty Card. See How to Use ibotta for full instructions. 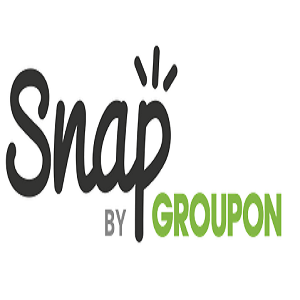 Snap by Groupon is an easy-to-use app that is another one of my favorites. Check out their grocery cash back offers/items, shop at any store to purchase the item, then upload a photo of your receipt. The difference between this app and Checkout 51, is that Snap by Groupon has a limit on the amount of people that can redeem each cash back offer/item. See How to Use Snap by Groupon for full instructions.